Due to their significant advantages to app development, we use Corona SDK and Enterprise to build a major share of our cross-platform apps. 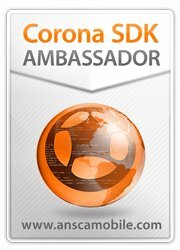 Redbytes is also an Official Ambassador of Corona SDK. Our education app, Panda Math was featured in one of the Corona Lab’s case studies. We can build exceptional apps 10x faster with Corona SDK. The platform’s own featured API library, allows running basic functions to complex functions with only a few lines of code. Corona SDK allows publishing on all the major platforms including iOS (including Apple TV) and Android (including Android TV). CoronaCards can be used to include Corona’s features in any native apps. Corona has its own forum comprising of a community of developers who help each other by sharing tips and knowledge. There are hundreds of useful guides, tutorials, etc that add to the reliability of Corona SDK. A number of successful games currently in the market have Lua as their scripting language. It is lightweight yet powerful. Corona is Lua-based. The availability of plugins reduce the development time drastically for Corona SDK. There are a wide variety of them for various purposes including analytics, in-app advertising, etc. Corona offers great support to quickly integrate virtual currencies, banner ads and app purchases. As they are tried and tested features, there is good forum support for app monetization. The powerful, light Lua language & performance-oriented OpenGL graphics make Corona SDK a heavyweight in game development. We have developed a significant number of gaming apps with this platform. The cross-platform capabilities of this platform is mostly utilized for business or enterprise apps. Corona SDK development has helped cut down cost and time significantly for a number of apps. Simple, easy-to-use UI and fast response are pre-requisites for educational apps that Corona supports. We have developed 50+ successfull educational apps with Corona SDK. Are you ready to build a Game using Corona SDK? Learn how, with our training material for young talents, programmers and game developers. This training material is a comprehensive tutorial for mastering game development using Corona SDK which starts with basics, Lua scripting concepts, features and APIs of the SDK, coding practises, development process & implementation. How to Build a Game Using Corona SDK? Corona SDK is one of the world’s most advanced 2D mobile development platform. It uses Lua, a quick and easy-to-learn scripting language. This SDK is completely free, which makes it a very cost-effective software development tool. Corona has got built in 2D engine with high performance graphics that makes it the ultimate platform for 2D game development. It supports tons of features such as physics engines, in-app purchases, analytics, database support, async http, local notifications, and Game Center among others. In addition, Corona Enterprise supports offline build and plugin development that can be easily accessed from the sample Lua code. Windows & OS X Support - Corona’s simulator can run on both Mac OS X and Windows that makes using tools of choice feasible. Build apps for tvOS & Android TV - Using Corona Enterprise , apps can be developed for next generation devices such as the Apple TV and Android TV. It has a real-time simulator which helps to view the workflow instantly. For boosting functionality, two other options are also available viz., Corona Editor and Composer GUI. Corona Enterprise also permits code reusability a.k.a cross platform mobile development, with which a single code base can be used for multiple platforms. Corona SDK includes third-party tools and services like Kwik, Corona Complete, Level Director etc. There is huge community support for Corona in the form of useful guides, tutorials, videos and sample projects that add to the reliability of Corona SDK. Corona also permits code reusability a.k.a cross platform mobile development, with which a single code base can be used for multiple platforms. Corona Cards can be used to include Corona’s features in any native apps.Windows & OS X support Corona’s simulator can run on both Mac OS X and Windows that makes using tools of choice feasible. Corona Enterprise has its own forum comprising of a community of developers who help each other by sharing tips and knowledge. There are hundreds of useful guides, tutorials, videos and sample projects that add to the reliability of Corona SDK.